If you do not want to be an April fool, find out how to avoid becoming a rigging failure statistic. 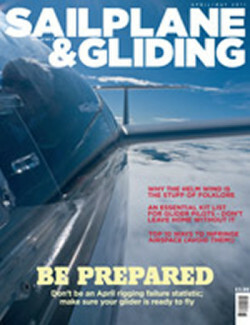 There is advice on making sure your glider is ready to fly and that you have all the essential kit to hand to capitalise on cross-country opportunities in the April/May issue of S&G, which also highlights the top 10 ways to infringe airspace – and how to avoid them. It’s perhaps no surprise to discover that there is a seasonal pattern to rigging failures. Phil King, of the BGA Safety Committee, finds that the problem peaks in April. Mostly, the causes are simple, but we are all fallible. The first step in avoiding mistakes is to acknowledge that they can and will happen to any one of us if we don’t take sufficient care. 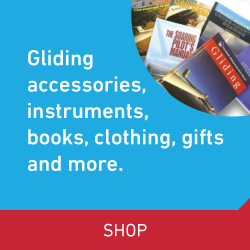 Having taken care to ensure your glider is ready to fly, don’t miss out on cross-country opportunities by not having the kit you need to hand. BGA National Coach Mike Fox has put together a kit list covering all your needs, from PDAs to pee systems. Pack it in an appropriate box and take it with you every time you go to the airfield. Next time the weather clears enough to do a quick cross-country you will be ready. 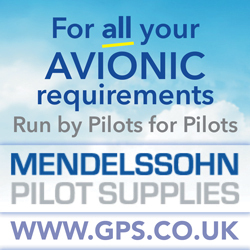 Once airborne, remember that it is every pilot’s duty to respect airspace restrictions. Each year a number of aeroplanes, and a few gliders, infringe airspace. Carr Withall looks at RA(T)s and their significance, while Peter Moorehead highlights the top 10 ways to infringe airspace. Peter Whitehead dreams of the day when he can fly using the legendary Helm Wind, a phenomenon found near the Edensoaring site. There are wonderful lee wave systems with great gliding potential in the rest of the British Isles, especially in Scotland and Wales, but Peter explains why he thinks the Helm Wind is so special. Also in this issue: We report on the BGA Conference and AGM, which BGA Chairman Patrick Naegeli rates as being one of the best to date. Don Puttock explains how Dartmoor turned the real prospect of a slow demise into the club’s most successful year ever. Also at Dartmoor, Martin Smith reveals how he converted an unused K-7/13 fuselage into a two-seat simulator, now a valuable asset to the club. Steve Longland explains the process of swinging the compass. John McWilliam reflects on an out-and-return from Nympsfield to the Isle of Wight, a task he says is far too much fun to miss. Pete Masson also flew an out-and-return to the Isle of Wight, from Lasham, the day after John’s flight. Phil Sturley reports from Chile, where he was delighted to have the opportunity to fly in this year’s FAI Sailplane Grand Prix 15m qualifier event. Peter Kingwill shares his memories of gliding in Aden in 1967, while on active service. The BGA Competition and Awards Committee provides some background to the 2011 rules for BGA Competitions. VGC secretary Bruce Stephenson shares plans for the Vintage Glider Club’s involvement in centenary celebrations at the Wasserkuppe. And, of course, we’ve more truly stunning images in the Gallery pages. Each year a lot of aeroplanes and a few gliders infringe airspace. Peter Moorehead takes a look at the most common causes. Avoid them! Will every day be a blue day?